Cambodia’s culture is built on the magnificent Khmer civilisation of old. Their creations, the temples of Angkor, have become a symbol of national identity. Despite the horrors brought by the Khmer Rouge, the Cambodian people remain welcoming and optimistic, with an unsurpassed warmth and hospitality, whilst cities exude both colonial charisma and modern sophistication. You’d have had to have been asleep in a cave for the past decade to have missed the rise to fame of the temples of Angkor. Exuding a majesty and mystery that few places can match, the temples are unmissable but Cambodia has so much more to offer. 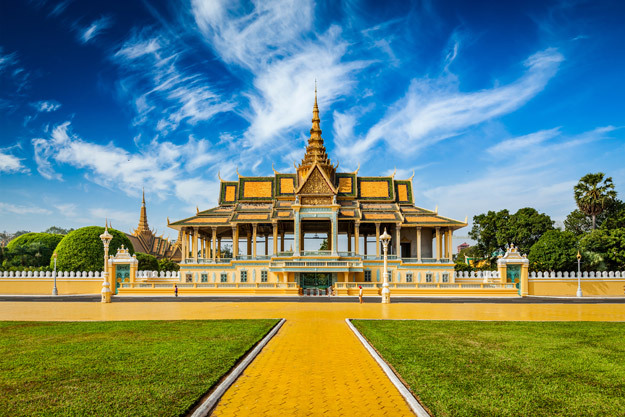 In Phnom Penh admire the gleaming Royal Palace and Silver Pagoda and uncover tragic history at Tuol Sleng and the Killing Fields, whilst Sihanoukville (and its islands) is Southeast Asia’s up-and-coming beach destination. 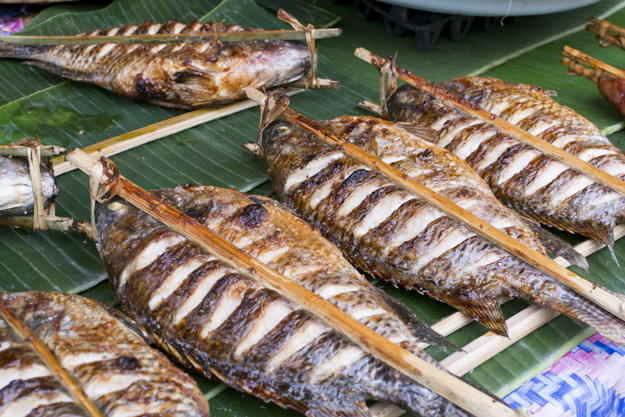 Sandwiched between two great foodie nations, Thailand and Vietnam, it isn’t a surprise that Khmer cuisine is similar to both. Less spicy and flavoured with lemongrass and coriander, popular dishes include amok – a fish mousse steamed in a banana leaf – and Cambodian crab with Kampot pepper. You may see some unusual snacks when you are out and about (fried tarantulas for example!) along with baguettes and pâté; a legacy of the French. Dinner should be washed down with an Angkor beer. Most shopping in Cambodia is done in the atmospheric markets, where stalls groan under the weight of cottons, silks, silver and trinkets. The Russian Market in Phnom Penh is particularly good. In recent years, thanks to the intervention of NGOs, local handicrafts are becoming better and more prominent, plus buying them contributes money to good causes. A long isolation from the world has meant that Laos has retained the quaint, old-fashioned charm and slow pace of life lost in many of its neighbours. The culture here is very much ruled by Buddhism with many beautiful and elaborate temples to explore, but up amongst the colourful tribes of the Laos’ hill country, traditional beliefs and rituals reign supreme. Laos’ laidback vibe makes it a pleasure to explore on any holiday to Laos. 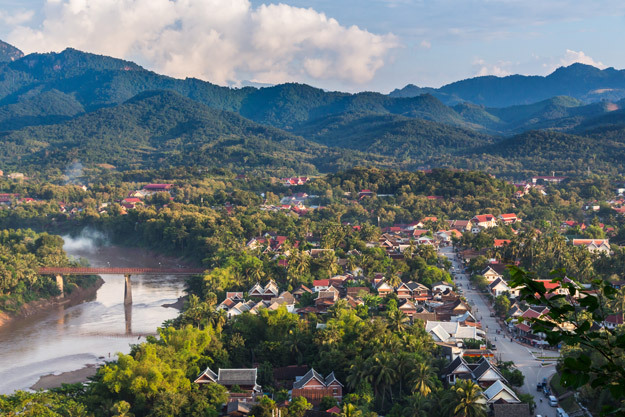 Luang Prabang is one of Asia’s most captivating destinations with a rich heritage, beautiful temples and an enduring French legacy. Visiting the hilltribes of the beautiful north offers a glimpse into a different lifestyle or you can contemplate the mysteries of the Plain of Jars. For a thoroughly Laos experience head to Si Phan Don (10,000 Islands), which are islets sprawled across the Mekong River where life doesn’t get much faster than snail’s pace. 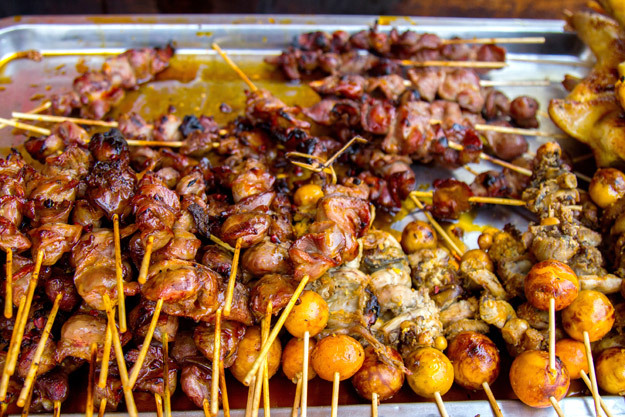 Laos food is fiery, fragrant, spicy, bitter and relatively unknown to the rest of the world. Some Laos foods are even wrongly credited to Thailand! Most dishes feature sticky rice and this is eaten by hand: you use a lump of it to mop up the other dishes. Prominent flavours include lemongrass, chilli, galangal and padek (a fermented fish paste) which feature in the most popular dishes like laap – a salad of minced meat – and mok pa, fish steamed in banana leaf. Beer Laos is the perfect companion for any meal but for those looking for a stronger tipple, give lao-lao, a native rice whiskey, a taste. Laos is a land full of handicraft goods, many made by the ethnic minority hill tribes. The best place to buy is directly from the maker in their village, but plenty find their way down to the markets of the more touristy destinations. Luang Prabang’s night market is excellent (for food too!). Here you can pick up handmade baskets, utensils and textiles. So which will it be out of Cambodia or Laos? It’s so hard to choose between these two beautiful countries! 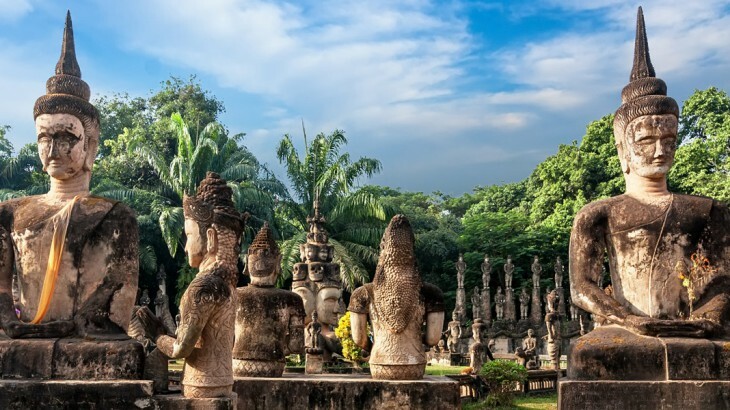 Cambodia has magnificent temples, beaches and a fascinating and haunting past, whilst Laos offers a glimpse of the Southeast Asia of times gone by, with a wonderful sense of peace and great diversity of people. So we think you should visit both as they are perfectly paired. Our Laos and Cambodia Unveiled tour lets you explore both of these stunning countries guided by our experts. Choose from our fully inclusive Cambodia Tours with Wendy Wu Tours, the UK’s leading Asia Experts. Our award winning escorted, fully inclusive tours visit all the major sights of Cambodia for an unforgettable holiday. Cambodia, Laos culture, sightseeing, tourism. permalink.